Question on term? Derogatory or not? I'm so in love with Bubba! 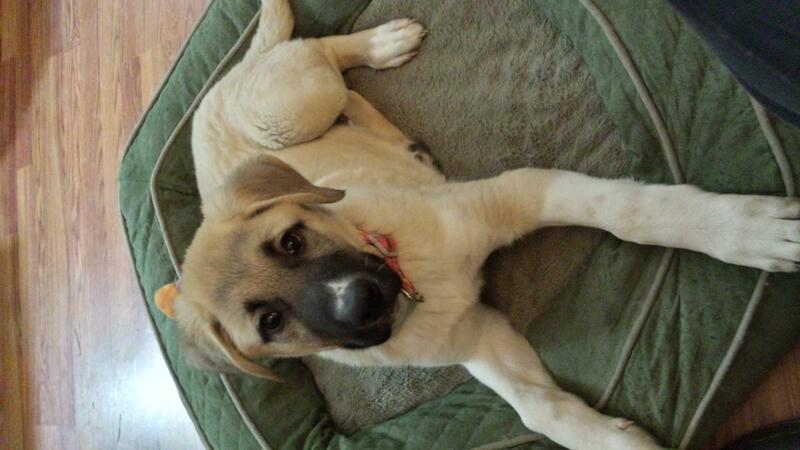 We had an Anatolian Shepherd too. Sadly he passed away a few years ago. I can't wait to see pics of Bubba as he grows! I'm in love with Bubba too. What a sweetie. Awe. Looks like a sweet Bubba too me! OK, thanks guys! In that case, meet Bubba! Oh that is such a cool dog. I bet you cannot go anywhere with him without people wanting to touch and pet him. Here's Bubba now at just 12 wks. The bed he's in is for my adult German Shepherd! Oh my, what a handsome boy he is! Good looking dog, going to be a big.